The Department of Trade and Industry (dti) used the Naamsa Automotive Conference to announce that it is a step further in finalising the South African Automotive Masterplan. The latter is set to come into effect in January 2021, running until 2035. 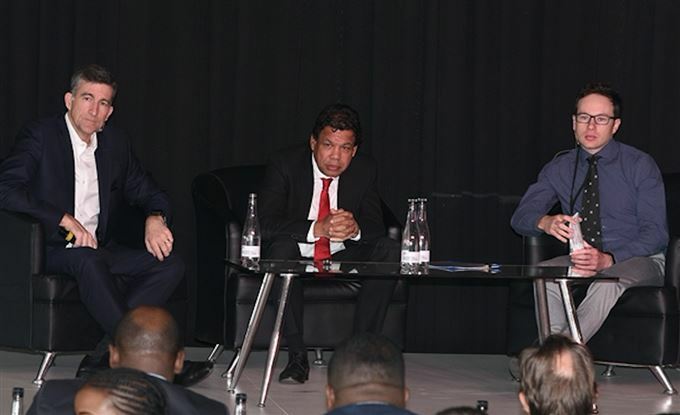 Lionel October, the director-general of the dti, addressed attendees of the "Paths to the Future" themed conference, held in the AutoTrader Tech Zone and part of the first day's programme at the 2018 Festival of Motoring. October said that the dti and the local motor industry were "99% there" in getting agreement on the Automotive Masterplan. He stressed the importance of the automotive industry as a player in the SA economy, where it forms half of annual manufacturing input. He said that increasing industrialisation through more local content and higher production volumes were important components of the Masterplan. "Higher production volumes result in economies of scale and improve an industry's competitiveness, which impacts on its ability to localise components, with 60% local content being a Masterplan target. It is therefore very important that we hit the point where we are producing more than a million vehicles a year in South Africa, rather than the current level of about 600 000." October explained that another key component of the Masterplan was to speed up transformation of the industry with special focus on creating viable black-owned companies in the supply chain, as well as the promotion of skilled black employees in the ranks of senior management at major manufacturers, with a score of 4 on the manufacturers' scoreboard for Broad-based Black Economic Empowerment (BBBEE) being the target. He continued that, in 2017, the "Big 7" in the SA vehicle manufacturing industry proposed creating a transformation empowerment capital fund of R3.5-billion over a 10-year period, as the equity equivalent of having empowerment shareholders in the wholly-owned subsidiaries of multinational companies. The fund will be used to facilitate the entry of black companies and industrialists into all aspects of the local automotive value chain including component suppliers and dealerships. October said that should the proposal be given the go ahead by government, the industry should be able to achieve a level 4 on the BBBEE scorecard. The dti director-general concluded his address by stressing the importance of the automotive sector taking all possible advantage of continental trade agreements to increase exports into Africa.